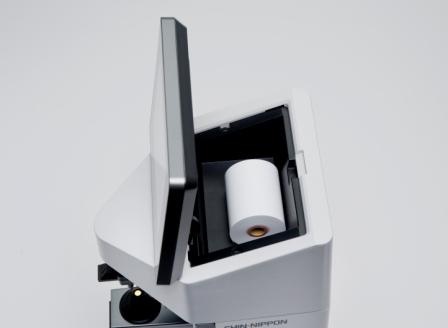 Beautiful, cool design lensmeter comes with new UV , PD transmittance measurement functions. 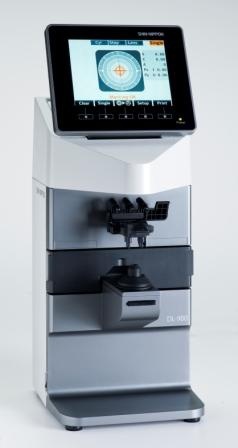 Measurements of lens power and UV are performed simultaneously. The results are displayed right away. With our unique "Dual Nose Pad" the PD measurement is much quicker and easier. 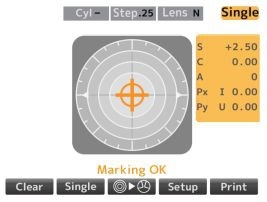 Higher work efficiency on left and right lens measurement. A new flat screen monitor with a beautiful graphics display and excellent visibility. Slim, Compact and Stylish Design can complement any interior. 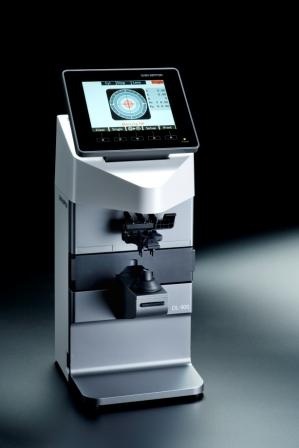 Newly designed optical unit and software have achieved GREEN LED light high level usability and accuracy. Movements of lens are perfectly linked to the movement of screen. 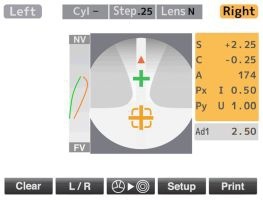 Any one can measure the progressive lens easily and intuitionally. When alignment is correct, the color of target changes. When the measurement is finishe, the color of the datawindow changes. The operation state of equipment can be judged visually. 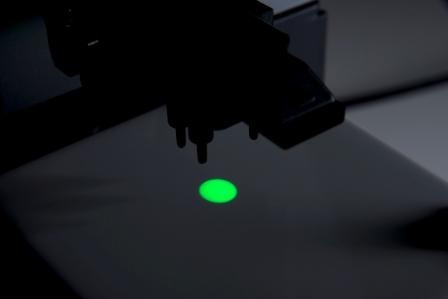 Green LED light gives more precise measurement values without Abbe value adjustment. Exquisite detail and quality.Sophisticated shape combined with soft curves and attractive color with high quality Perfect to store spare roll paper, marking pen two-tone metallic and pearlescent paintwork which complements any interior and appeals atmosphere of trust to the customer. Perfect to store spare roll paper, marking pen and contact lens stand.